Imagine being in this scenario, you are socializing in a group of baby boomers. Looking around at the group members, you become deeply interested in a fellow named Ted telling his story about Alzheimer’s. He’s talking about his mother. Wanting to act strong in front of those gathered, Ted does his best to hide his true and honest feelings from everyone. A part of him is highly stressed out about personally witnessing his mother’s slow mental deterioration. Hiding your true feelings creates blocked energy in your body’s energy system. When you block the health-sustaining and naturally flowing energy in your body’s energy system, that blockage can appear in your physical body as disease or disharmony like headaches, heart problems, high blood pressure, etc. Clear energy blocks and you feel better. People acting under false pretense block their life sustaining energy flow. Are you inadvertently doing that? I think at one time or another we all act under false pretense energy. You try to keep things all together, but sometimes you just can’t do it! The female brain is designed to create and respond to chemical programs from birth found within a hormone called oxytocin. Prompted to be driven and act biochemically by oxytocin, this hormone drives us to bond with others. When women have sufficient amounts of oxytocin, they can effectively manage their stress. Acting by false pretense reduces oxytocin and increases stress. That’s why it is important to be true to your real self. When you hide your true feelings you block energy. Conversely, you clear energy blocks acting as your true self. The male brain is designed to create and respond to chemical programs from birth found within a hormone called testosterone. Understand that he does also create and respond to internal oxytocin levels, but in a much, much less level that does a woman. Naturally prompted to be driven and act biochemically by testosterone, this hormone drives men to provide for and protect others from harm. When men have sufficient amounts of testosterone, they can effectively manage their stress. When men suppress the prompt from oxytocin to express emotional feelings, they are acting under false pretenses and trying tos energy. As a man “tries to be a man” (his usual testosterone nature) during emotional (oxytocin) situations where it is scientifically reasonable to express deep emotions, it can to some degree temporarily deplete testosterone. In extreme cases of life changing stress (death of a loved one, enduring chronic pain or conditions, divorce, loss of a job, etc.,) it can also deplete his serotonin levels. If your serotonin levels are too low, this leaves you feeling depressed. Hidden subconscious and energetic misrepresentations can mislead you into mistrusting prompts from your true self to be the genuine you. When this happens, you act under false pretenses. Typically, these false pretenses cause you to act unlike your true self. Believing and behaving according false pretenses (also called “trying tos” in Jin Shin Jyutsu) cause heartache and can trouble your small intestines. These tension disharmonies can best be relieved by regularly using Jin Shin Jyutsu, meditation, hypnosis, Reiki and other natural ways of living harmoniously. Within the subconscious mind each of us stores misinterpreted ideas about life. These misinterpreted ideas can direct us to ignore conscious prompts to make reason-based, well informed decisions about life. When you act under false pretenses, you may explain away and justify acting in self-sabotaging or self-limiting ways. When you release the energy driving you to actually work against yourself, you release false pretense and “trying to” energy. Releasing this type of energy, you clear energy blocks and change habits for the better. This final finger flow hold helps you in many ways but mainly to be your genuine self and do life activities in a way meaningful and realistic for you. Putting all together the 5 Jin Shin Jyutsu Finger Flow holds gives you a cacophony of harmonious calm. Tying together all the finger flow holds, you release overwhelm, fear, anger, deep sadness/grieving and let go of false pretenses and “trying tos.” Once completing all the finger flows, you can find yourself released of tensions in your entire body. Usually, my clients do Jin Shin Jyutsu finger flows just before they go to bed. To do the finger flows, breath in from 1 – 10 deep belly breaths as you gently hold each finger. You’ll begin to notice the qualities of the finger you hold to change. The finger you hold may start out feeling hot, cold, thick, thin, prickly or whatever. As you gently hold each finger and do the deep breath, allow the finger to harmonize with calm. You will eventually feel an energy pulse. Allow a natural, relaxed pulsing rhythm to occur. If you are intuitive, use your intuition to know when and how quickly to move from one finger to the next. Depending upon how tensed you are, you may fall asleep and sleep through the entire night. If you don’t, that’s okay, too. Typically, do no more than 60 minutes in a session. The effects from one session can last as long as 8 hours. I’m pretty sure you’ve experienced living by false pretenses at some time in your life. It’s simply a part of the human experience. If you hear yourself say, “I’m trying to (X)…” that may be evidence you are living according to false pretenses. No worries. In this finger flow hold, wrapping the fingers of your left hand around the little finger releases false pretense energy. Start first wrapping the fingers of your left hand around each right-handed finger. When you are done with holding each of the right handed fingers, do the reverse wrapping the fingers of your right hand around the left-handed fingers starting again with the thumb and moving through each finger to the little finger. If by any chance, you are missing fingers, imaging holding on to each finger. You will receive tension-reducing benefit energetically. Let go of staying stuck in life. I encourage you to regularly use all the Jin Shin Jyutsu finger flow holds daily. It is a relaxing way to meditate. Please enjoy this next very brief instructional video I named One Minute Meditation For Letting Go Of False Pretense. When you release the energy of the feeling of trying to do too much or being unlike your true self in situations, you can release that tensions and naturally feel better. This is the fifth video in the series. For your convenience, here are all the video links of the series listed in order of their appearance in relationship to the Jin Shin Jyutsu Finger Flow. The last finger hold is for the little finger, the finger of false pretenses and trying tos. Additionally, I encourage you to visit my blog to read more about my experiences using non-drug solutions for natural stress relief, complimentary alternative approaches to chronic conditions/pain and/or end-of-life care needs. Here’s the link to my blog. As always, if you are in chronic pain, wanting natural ways to reduce your stress or need end of life coaching, please let me help you. You can set up a happiness coaching session with me at your earliest convenience for any of these broad areas. 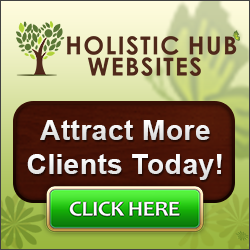 The natural wellness methods I share with you work for me, my students and clients. I believe they will work well for you, too. Until next time, please enjoy these one minute meditation videos. If you like them, please give them a “thumbs up” and leave a positive comment. Thanks. DISCLAIMER: In accordance with the FTC guidelines we are required to inform you that some of the links within this email or the links on pages it refers you to may be affiliate links. When this is the case, if you purchase products through these links then we receive a commission. The amount of commission varies from product to product and in these cases, we only ever recommend a product that we fully stand behind. SUBSCRIPTION INFO: We hate spam and we never email you without permission. You agreed to our terms and conditions when you opted in or when you purchased a product from us. This includes permission to send you emails updates about important product information, announcements, bonuses, promotions and other general communication.